Private equity investors over the past couple of decades have mostly tended to get involved in ownership of telecom companies primarily during the Internet investment boom of the late 1990s, and generally in roles similar to that of venture capital. Occasionally, private equity gets involved only in smaller or moderate-size telecom deals where there is distress of some sort. That has been the case for Portugal Telecom and Hawaiian Telcom. U.S. private equity firms Warburg Pincus and Apollo now are evaluating a bid to buy Deutsche Telekom’s T-Mobile Netherlands division, valuing the deal at more than 3 billion euros ($3.4 billion). The lack of service provider bidders points to the nature of the issues. The Netherlands is a highly-competitive market with little room for growth, and which is consolidating. 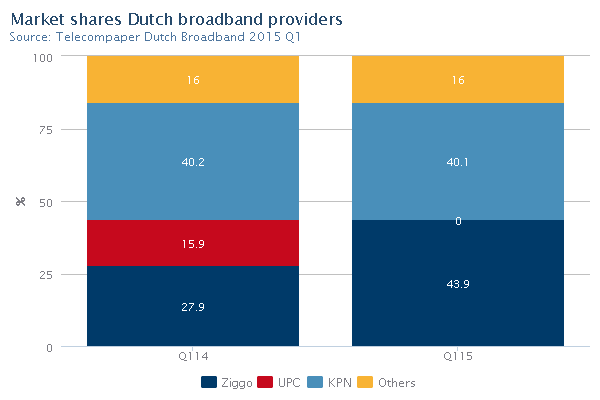 One issue is that the Netherlands mobile market is saturated, with growth shifting to Internet access, especially as provided by triple-play providers lead by cable operator Ziggo and KPN, with cable operators gradually assuming a bigger role. All markets in Western Europe, Ovum predicts, will see year-on-year revenue declines by 2019. Western Europe will see a compound annual growth rates of -1.7 percent between 2013 and 2019. All 17 Western European markets will see revenue decline over the next five years.